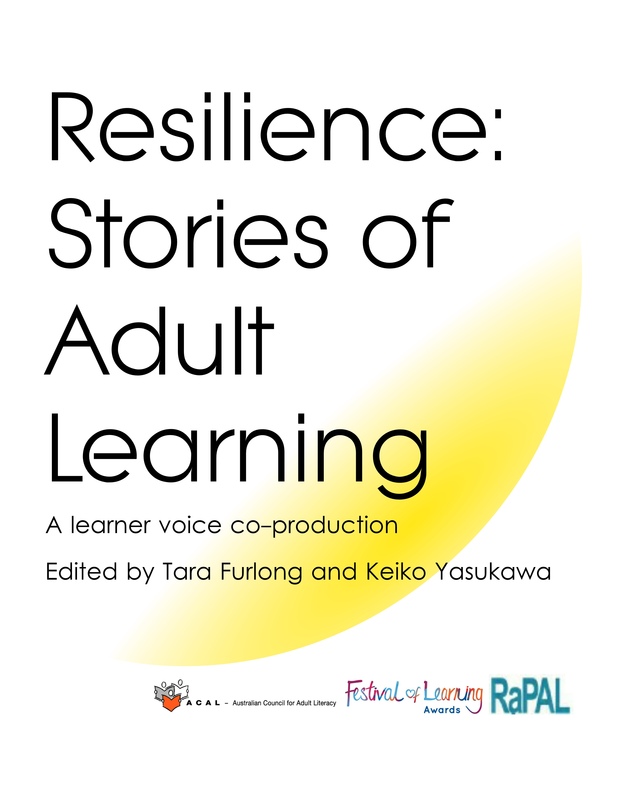 An extract from this story is available in French, German, Italian, Polish and Spanish on EPALE. My name is Olivia Watkins and I am twenty-three years old and I have Down syndrome. I have two sisters and a brother. Hannah is twenty-seven; George is twenty-five, then me, then Alice who will be twenty-one in December. I live in a flat by myself during the week, and I have two jobs. One is a voluntary job at my mum’s school, in the kitchens. I have done this for two years now, and I love it. My Kitchen Manager, Celia gives me lots of jobs to do, like cutting up fruit for Fruit Cups, icing sponges and preparing salads. My other job is a Kitchen Assistant at the University West of England. This is a paid job. My dad saw an advert in the paper and my mum helped me to fill in the application form. I had to go for an interview and I got the job. It’s a very busy kitchen, there are loads of people and I work hard when I am there. Matt is my manager in this job. To get to my jobs I travel independently on a bus. On the weekend, I stay with mum and dad. We go shopping on Sunday mornings and I take my own trolley round the supermarket and get everything I need for the week. Then I go to the till and pay for it all. I went to New Siblands Special School in Thornbury when I was five. I left when I was eighteen. Then I went to Foxes Academy in Minehead, for three years. I wanted to go to Foxes because I love food and cooking and I wanted to learn new things, to live independently and to get a job. I got an NVQ Level 1 qualification for Food Preparation at Foxes, and lots more certificates for all my other learning. When I left in 2013, I won the Outstanding Learner of the Year Award (now Festival of Learning) at Graduation Day. I was so proud and happy. Then, in 2014 I won another award. I was a Regional Award Winner for everything I had done since leaving Foxes, and I went on The Pier at Weston-Super-Mare to a lovely dinner to collect my award. I got a £200 voucher, to do some more learning, and I decided to go on a photography course, because I love taking photos, especially sunsets. A long time before I went to Foxes, my teacher at school sent a video home, about Foxes Academy, for me to watch with mum and dad. I really liked it and decided I wanted to go there when I left school. It took a long time to get my place, but I was very happy and excited when I found out I would be going. I went to look at some other colleges, but I didn’t like them as much as Foxes Academy. If I went to a college near home, I wouldn’t have learnt so much about being a chef, and living independently, which is what I wanted to do. Foxes taught me how to travel independently and safely too. I am really good at using the bus now. In my learning, I had to work very hard, and pay attention and follow instructions. Sometimes I found this hard, but not often. I worked in the Foxes Hotel during the day and lived in a house with other learners afterwards. I never lived with strangers before, or lived away from home for a long time. I was very nervous at the start of Year 1, and I missed my family, but I got on with it and then I made new friends, and really enjoyed it. It took me a little while to learn what to do, but the staff were brilliant, and helped me if I had any problems. At Foxes I did House-Keeping, Food Service and Food Preparation. I also had “Moving On” sessions every week. This helped me improve my reading, writing, maths and IT skills, so that when I left I could get a job, and be able to manage money and live independently. I took English speaking board qualifications to help me with my speech. I learned how to read bus timetables and recipes. I wrote weekly shopping lists and went to the shops to buy things, using my money. I learned how to use the cashpoint at the bank to get money out, when I needed it. When I was at Foxes, I kept thinking about what I wanted to do when I finished my course. I kept telling myself to work hard and I knew I could do it. I worked in a real hotel kitchen which was really busy sometimes. But, I knew that staff were always there to help me if I got stuck or didn’t understand. There were lots of signs and symbols, words and pictures around, to help me too. The other learners were my friends and we all helped each other. We had a great time. Going to college at Foxes gave me the skills I needed to get on with my life. My mum and dad and my family are very happy with me because I worked very hard to get my targets – a job and living independently. I don’t think I could have done this if I hadn’t gone to college, and I don’t know what I would be doing with my life now. Because I went to Foxes and got my qualifications, I got my two jobs and my flat. I have loads of friends and I do loads of socialising. Whenever I am out, I always meet someone I know. I have made friends in my jobs too. I am really happy with my life actually. If I had friends that were talking about going to college now, I would tell them to definitely go. Go for it! You will learn so much, and if you try really hard, you can get a job, a paid job, like me and then, if you want, you can live independently. I would tell them not to worry, because there will be staff to help you and you will have a great time. You have to get on with your life – like me! My name is Lynne Watkins and I am Olivia Watkin’s mum! Olivia has Down’s Syndrome and associated learning difficulties. She is twenty three years of age at present. From a very young age, Olivia has been a determined young lady, a real character, always wanting to learn and achieve and have great fun along the way! There were challenges of course, but firm boundaries, high expectations and a lot of patience from a lot of people have shaped the amazing Olivia we all know and love today. Around the age of fourteen to fifteen years, Olivia expressed a continued wish that when she finished school, she would like to go to Foxes Academy. Olivia had watched a documentary about Foxes and clearly thought it was the place to be! Whilst Olivia worked hard at school, and enjoyed much fun, my husband Ray and I worked very hard to ensure that she had the best possible opportunities available to her on leaving school. The local authority’s view and desire was that Olivia should attend a local college provision. Ray and I, with and without Olivia, visited numerous local colleges. We were very open-minded and tried to find what Olivia was looking for within them. Sadly, we were unable to find anything on offer locally that would have met Olivia’s needs and, and perhaps more importantly, her aspirations. There was nothing to match what Foxes had to offer. Ray and I put a case forward to the local authority, detailing our findings, and confirming what we had known all along – Foxes Academy was the way forward and provided everything that would meet Olivia’s needs, develop her skills further, and enable her to take her place in society. Olivia told family and friends that she wanted a job and to live independently when she had finished college. Ray and I were determined to provide her with the very best opportunities to realise these goals. Having put our case together, the wait for a decision began. We had been advised that we may not receive a decision until late summer holidays 2010. However, we received the news that funding for the full three year course had been agreed in May 2010! From September 2010 to July 2013, Olivia attended Foxes Academy in Minehead, Somerset. Here she received a personalised, learning experience, tailored to her developmental and academic needs and requirements. During the course, Olivia developed the skills to live independently and to seek employment when she left. Foxes delivered a “Moving On” course to its students, which developed Olivia’s literacy and numeracy skills still further. Olivia learnt how to follow recipes, to weigh ingredients, to follow health and safety guidance. All of the foundations laid at school, were built on, developed and consolidated at Foxes. Olivia learnt vital life skills relating to her personal safety, money and how to use and save it. She learnt how to compile a shopping list, how to use that list in a shop, and how to pay for her goods. Her IT skills were improved and she has an excellent grasp of iPod and iPad now, teaching me a thing or too along the way! To enable her to travel, Olivia undertook travel training, using public transport, initially with a buddy, and then independently. She continues to use the bus, travelling to and from work. She can read a bus time table and use a clock to determine what time she needs to be ready by. Olivia now has two jobs. She works voluntarily, two days a week as a Kitchen Assistant in a primary school, and two days a week in a paid job, as a Kitchen Assistant at The University West of England. She lives in a one-bedroomed flat, by herself and enjoys an enviable social life! She catches the bus to and from work, and sometimes to visit us! Olivia also belongs to The Firebird Theatre Company, based at The Bristol Old Vic Theatre. Here, she has to read and follow a script, listen to instructions and work collaboratively with the Firebirds team. In November she will participate in “Prospero, Duke of Milan” from Shakespeare’s The Tempest, which The Firebirds will perform. In May 2014, Olivia won a Regional Adult Learner’s Week Award, and attended a grand dinner on The Pier at Weston-super-Mare. With her Award money, Olivia decided to go on a photography course to develop her knowledge and skills in this area. Olivia considers herself to be a life-long learner, and Ray and I see that in the way she approaches life. She is happy, confident and driven to achieve her goals and be the best that she can be. Her family, friends and work colleagues are very proud of her, and she is treasured! Olivia joined Foxes Academy in September 2010 for a three year programme. She has Down syndrome with associated significant learning disabilities. She has communication difficulties and physical difficulties and wears orthotic inserts to help maintain her foot alignment. The following is an excerpt from her ILP from September 2010 which shows her starting point: “I am progressing towards speaking without relying on Makaton. I am vulnerable in the community and I need help to spot dangers. I need support to understand stranger danger and reminding not to speak to people I do not know. I can be easily led, this makes me vulnerable. I can get angry and frustrated when I can’t do something. I can appear confident but I need help to complete familiar tasks without becoming anxious and losing focus. I need support to interact with my friends. I need support to access the community and reminders of personal safety. I need support to interact with my friends. I need guidance and encouragement to complete tasks”. The following comments describe Olivia’s incredible learning journey, how she faced these challenges, overcame her learning barriers and transformed her life so that she now lives in supported living accommodation and has not one but two jobs! 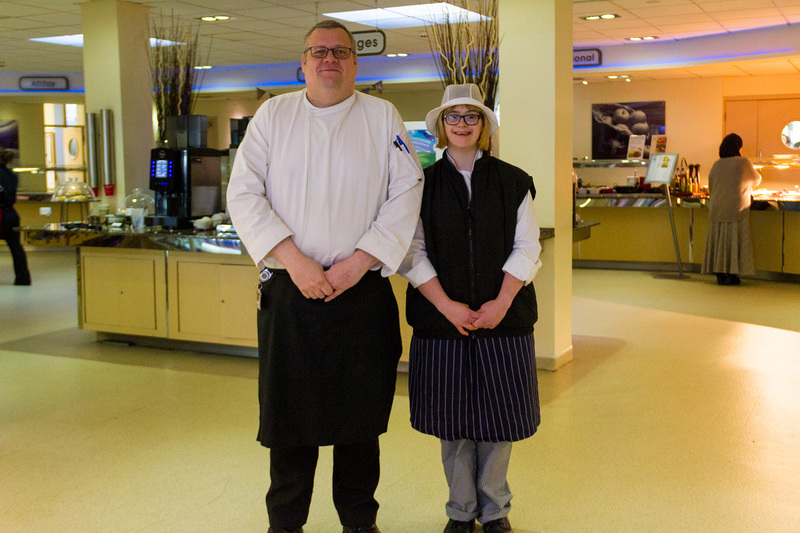 Employability and Personal Development: Olivia shows a very keen interest in cooking and food prep and has shown a real determination to learn the skills to enable her to fulfil her long term goal to find paid work after leaving Foxes Academy. She has made exceptional progress and achieved the following: level 1 in food preparation and cooking (2012), an Award in Employability and Personal Development at entry level 2 in 2012 and an entry level 3 certificate in 2013. She also gained level 1 in food safety (2013). Olivia completed a very successful thirteen week work placement in a local care home who would have offered her employment if she stayed in the area. Independent Living Skills: Initially Olivia was quiet and often in the background looking to others to speak for her. Well that was then and this is now, oh my, what a difference. She has made incredible progress right across the board with all daily living skills. Right from the start she was determined to succeed and this attitude has enabled her to achieve many personal goals as well as course targets. The more she has learnt, the more confidence she has gained, particularly in Personal Hygiene, Personal Awareness, Social Skills and Community Access. Olivia has further developed her community skills by regularly using the bus. She can now use the internet to find the bus timetable and is able to work out a suitable time to leave and a time of return. Olivia has shown great focus and tenacity and this is testament to her determination to succeed and be the best she can. Olivia gained an Award (entry level 2) in Personal and Social Development in 2013. She also gained English Speaking Board qualifications starting a pre-entry level in 2010, entry level 2 (with Certificate of Excellence) in 2011 and entry level 3 in 2013 which is incredible considering she used to rely on Makaton for communicating. Skills for Life: Olivia has put 100% into improving her literacy, numeracy and ICT skills. She gained City and Guilds entry level 1 in numeracy in 2011 and then went on to achieve an entry level 2 in 2012. She gained an entry level 2 in literacy in 2011 and an entry level 3 in 2012. She also gained an entry level 2 qualification in ICT. The following is a letter from Olivia’s mother which clearly states the positive impact on her life: “Olivia is working voluntarily, two days a week at Wheatfield Primary School, in the kitchen, and loving it. There are 410 pupils, so it is a really busy kitchen environment but she is doing very well. Olivia travels by bus to work and was adamant that she didn’t want a “C” on her bus pass, saying that she caught the bus whilst at Foxes and she is an independent traveller, she doesn’t need a Companion! I couldn’t argue with that could I?” She has an interview for a job at the University of the West of England as a General Kitchen Assistant. Olivia filled in the application form herself and was delighted when the letter came inviting her for an interview. Olivia has been offered two days paid employment at UWE. In terms of housing, Olivia moved into a supported living home at the end of September with her friend for a three month trial but this did not work out through no fault of Olivia’s. We are all incredibly proud of her achievements. She has grown in maturity and confidence. Also over this time she has found her own voice and has grown into a popular and increasingly independent young lady. Olivia is articulate, determined, motivated and hard working. Olivia says, “I am really proud of what I have achieved since being at Foxes. I have learnt how to do loads of things. I am especially proud of myself because I am now taking responsibility for all my daily routines and jobs”. Foxes are so proud of Olivia’s achievements and undeterred by the challenges her disability poses she is proving to be a huge inspiration to others.